Progress Lighting Trinity Collection Ceiling fan light kit in brushed nickel-plated finish, has chrome pull chain and maple fob. It accommodates three 40-Watt incandescent lamps. Etched glass bowl shade measuring 13-3/8-Inch Dia x 6-3/8-Inch, adds elegance to home. Lamp with candelabra socket, has voltage rating of 120-Volts. This traditional/casual ceiling fan light kit is perfect for room lighting and bedroom lighting. It measures 13-3/8-Inch x 6-3/8-Inch. 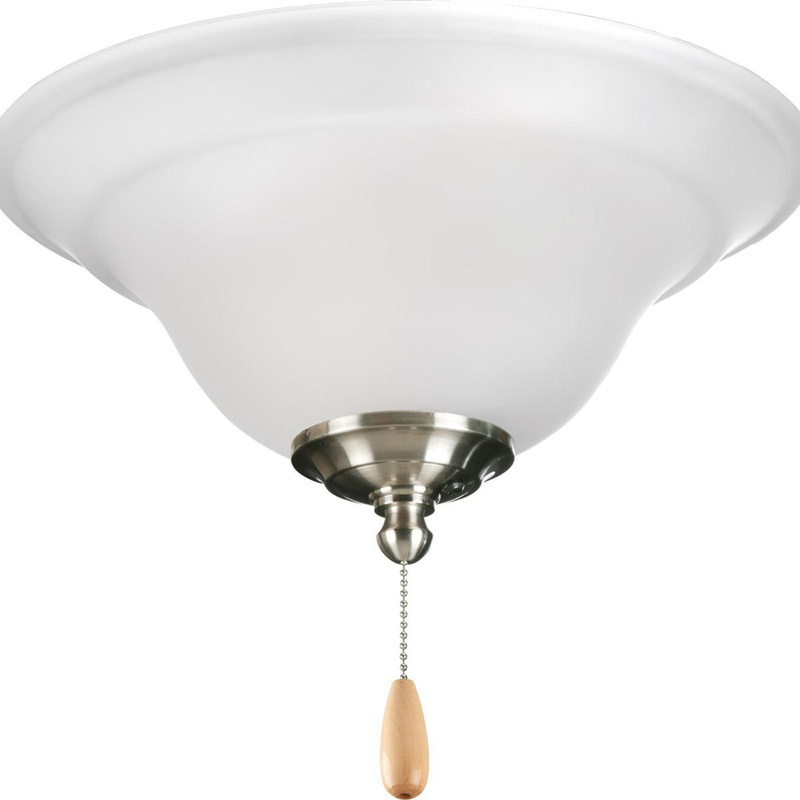 Ceiling fan light kit is UL/cUL listed.